External casing of the turbine that connects to the pipe by standard means. 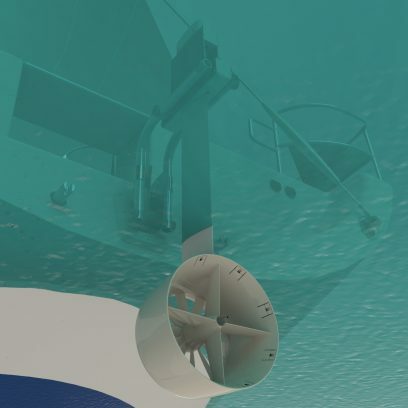 Element guaranteeing turbine block tightness, concentrates and accelerates the water flows over the propeller blades. An alternator with no seals and no grease, immersed in and lubricated by the water. Blades designed to make the most of low speed flows. The picture above shows the Turbine Front Body, the Turbine Front Block and the Propeller & Alternator. The PICOGEN® innovation offers access to renewable, available and currently unused energy on the spot, in a move towards a more reasonable energy mix and reasoned consumption. The PICOGEN® technology, with its multiple patents, broadens the range of possibilities by using energy from low speed flows. The easy installation and limited maintenance requirements of the PICOGEN® solution result from its stream-lined design, devised to make life easier for users. 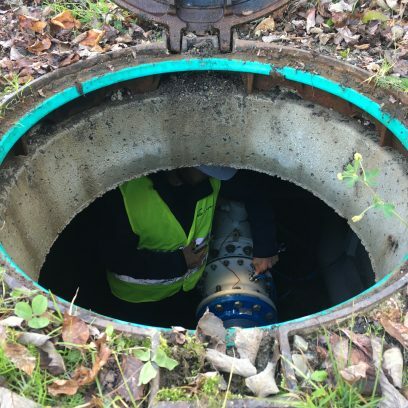 The PICOGEN® turbine is a unique response to market needs: it enables autonomous supply of electric equipment throughout the network, even in isolated sites, sites where flow speed is low and sites with a low admissible head loss. – An innovative turbine that adapts to the most common pipe diameters. – A control device or regulator to deliver and optimise electricity production. 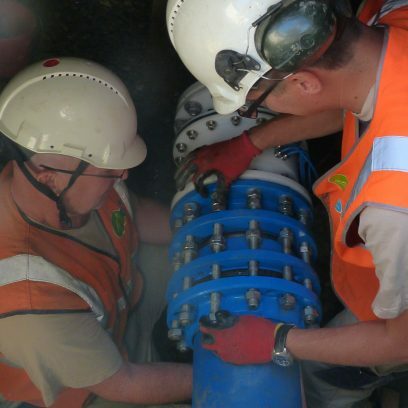 PICOGEN® is fitted in-line on water network pipes to supply the various electric devices. An integrated bypass (patented) to avoid the need for network derivation and to ensure network safety in the event of sudden high flow speeds. The PICOGEN® technology is based on a patented breakthrough innovation. This solution offers access to an energy resource that is currently unused, at the actual site of consumption. Quick, simple, in-line installation, according to industry standards, on pipes without requiring a bypass. Adapts to all sites and types of use: electricity is produced even from low speed flows with little head loss. Reduced maintenance by design, no moving seals and no lubrication required. Access to electricity without needing a connection to the electric grid. Built-in safety device to protect the project and its environment, notably against water hammer effects. Real-time monitoring of production and consumption. The collection of real-time network data represents a step towards more responsible management of water resources. Save Innovations provides the energy necessary for optimal management of water networks. Electricity is needed on sail boats to ensure comfort and safety on the water. A renewable energy source is the most responsible navigation option. 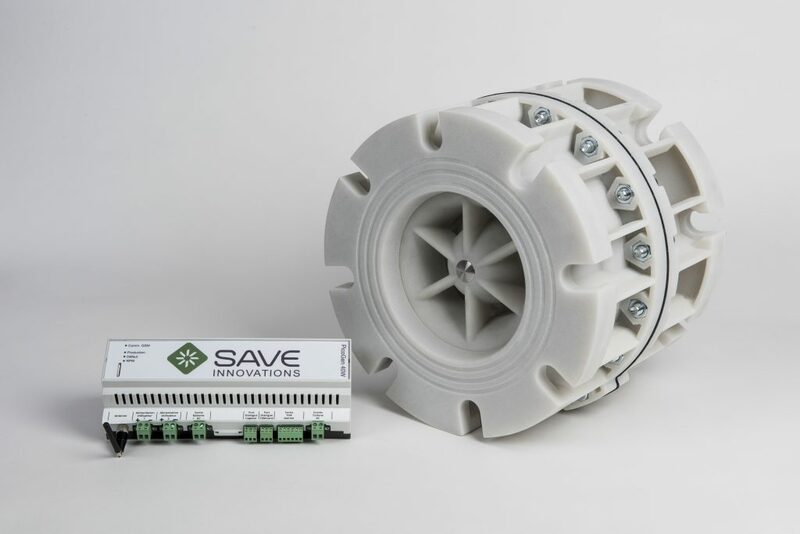 Save Innovations has a solution for sailors looking for an alternative source of electricity. The fluids circulating in the pipes on industrial sites are many. On-site production of renewable energy, oriented towards self-consumption, is becoming a non-negligible part of the overall energy mix. Save Innovations is participating in efforts to open up alternative sources of energy by using low speed flows. Irrigation systems cover huge areas and cannot always be connected to the electric grid. 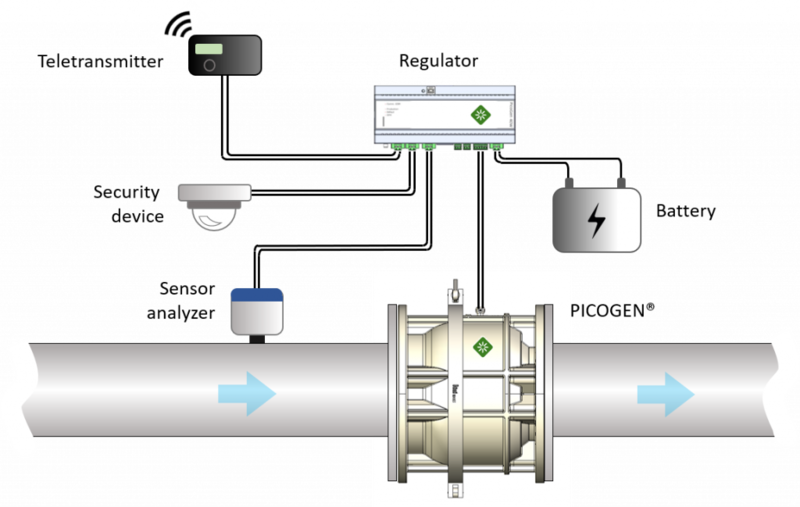 Electricity produced within the pipes enables control and management of the network. Sectorisation is an efficient means of controlling water leaks. It is essential to have real-time information at key points of the networks. It is important to control drinking water quality at source. It is essential to have real-time information on the physical and chemical properties of the water. Electricity is needed on sail boats to ensure comfort and safety. A renewable energy source is the most responsible navigation option.